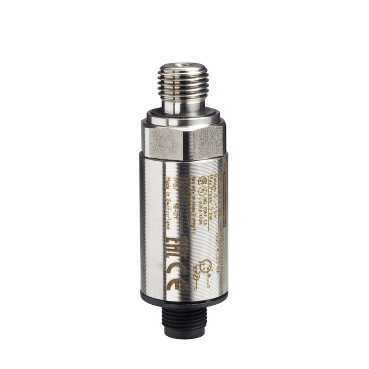 Detailed Description: XMLG pressure transmitters are characterized by their ceramic pressure measuring cell. The deformation caused by the pressure is transmitted to the resistors of a Wheatstone bridge screen-printed on the ceramic. The change in resistance is then processed by the integrated electronics, giving either a digital or analogue output signal. The stainless steel AISI 303 body and the ceramic cell combined with a Viton gasket make these products compatible with industrial fluids such as air, fresh water, hydraulic oils. XMLG pressure sensors can control fluids from -15 to + 125øC.